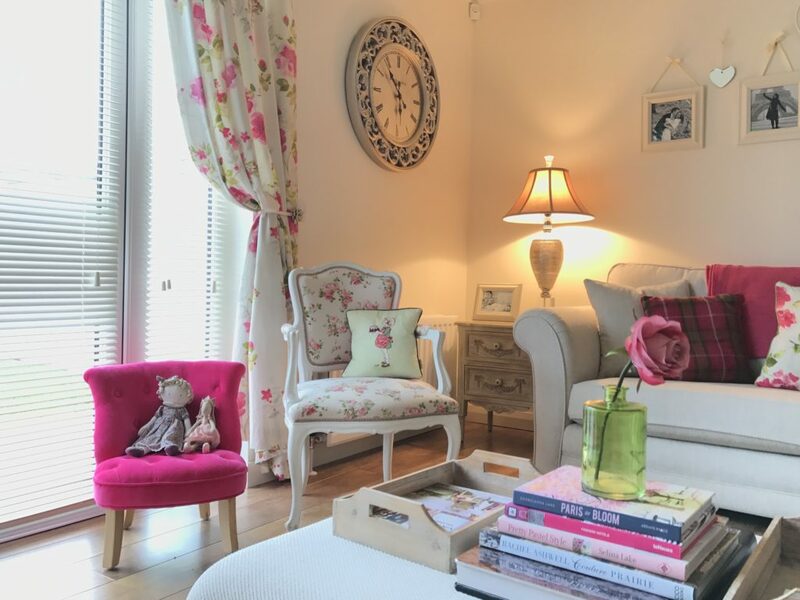 Mindy Brownes is an Irish based Interiors company based in the heart of the Lake District in Co. Westmeath, Ireland. Their interiors collection consists of occasional furniture, lighting, mirrors, clocks, accessories and tableware. 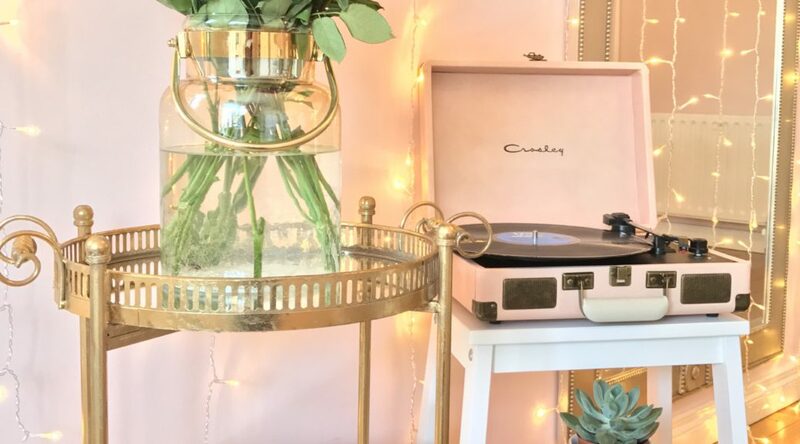 Inspiration comes not only from current interior trends studied across the globe but by having far-reaching experience in designing, manufacturing and retailing. 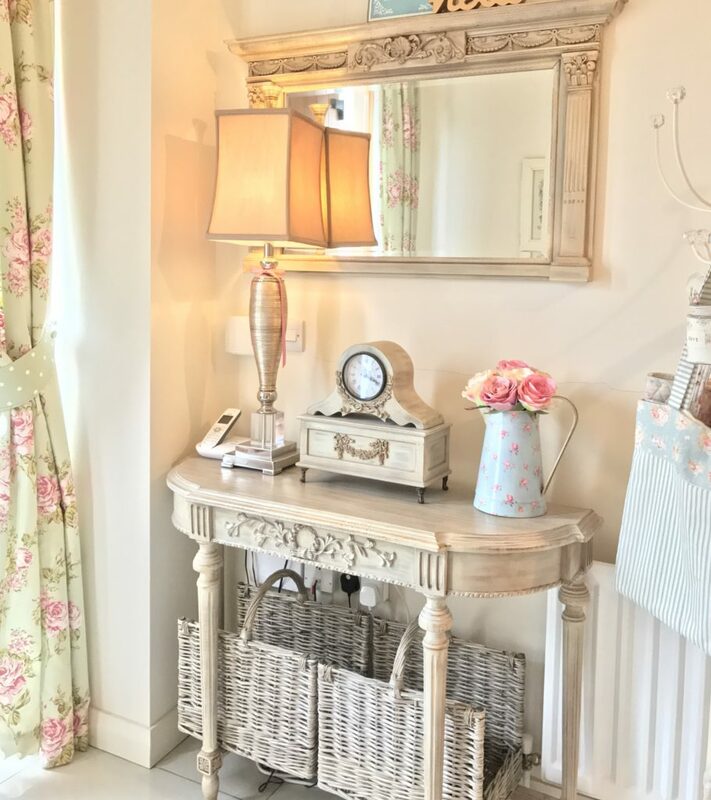 I was first introduced to Mindy Brownes Interiors around ten years ago when I worked in a lovely little interiors shop doing window displays etc. We were always excited to unpack any new MB deliveries as their items are all so chic and stylish and we knew they were very popular with customers so I always made sure they featured prominently in the window displays as the shop was situated on a busy street with lots of passing traffic. 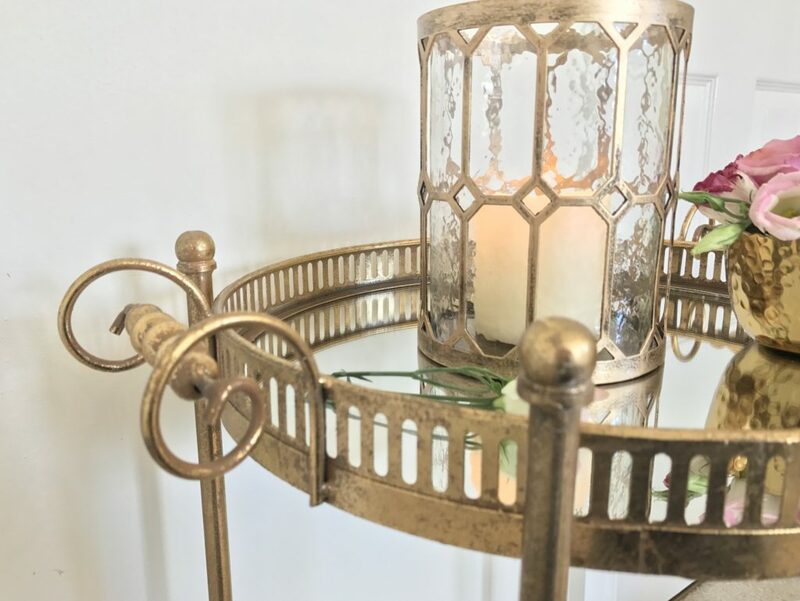 We had many a customer arrive into the shop having spotted a new Mindy Brownes mirror or lamp in the window as they were driving past. 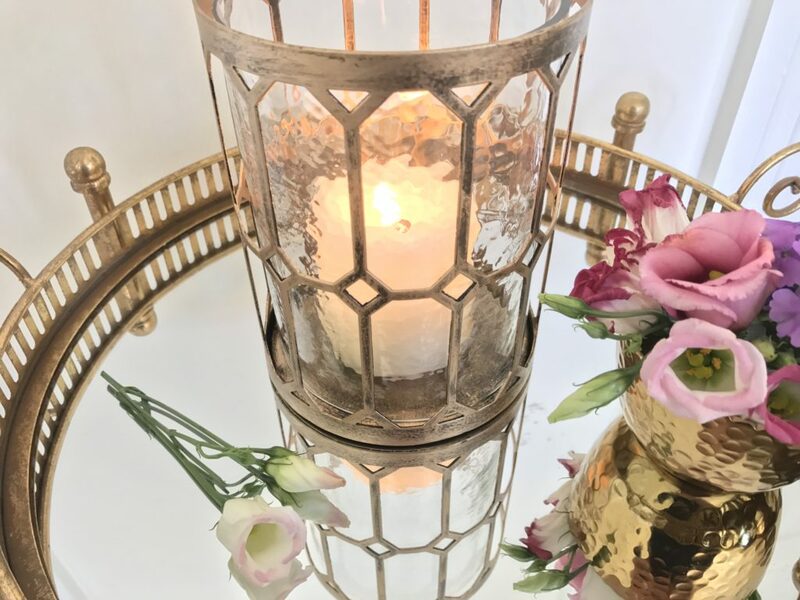 Amongst the first Mindy Brownes items that I ever bought were these stunning hanging lanterns and they’ve featured at lots of parties & weddings that I’ve styled as well as in my home. 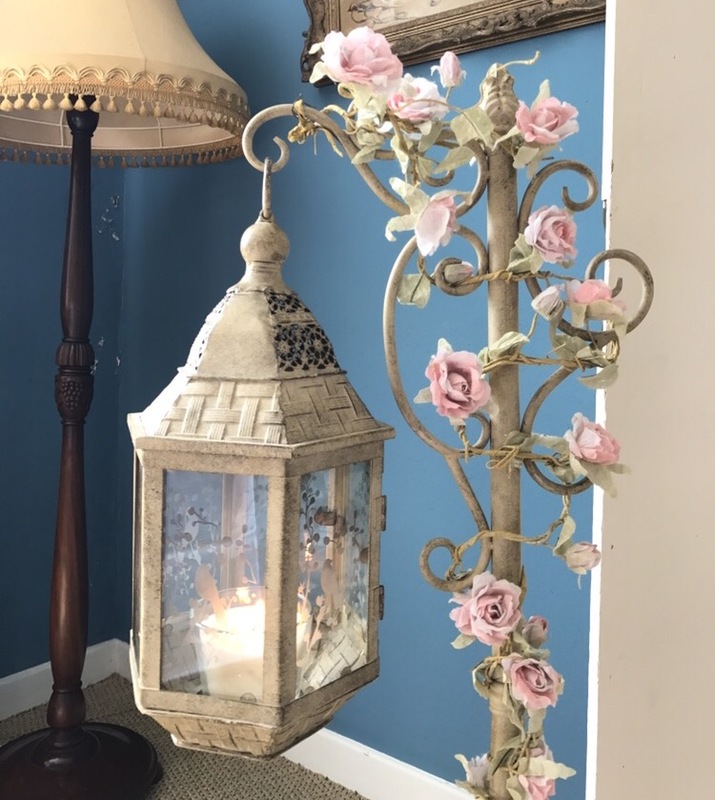 When my daughter Rebecca got married 7 years ago she had lots of Mindy Brownes items on her wedding list and her home is filled with the most stunning MB pieces from furniture to clocks, lamps, mirrors & lanterns. 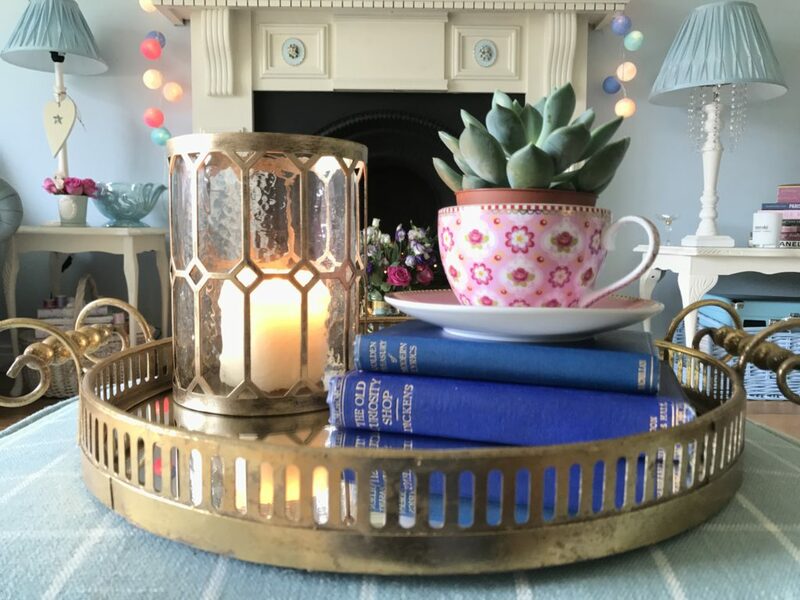 I was lucky enough to get to choose some of my favourite items from their current collections and I’ve taken a few pics of them in my home to share with you all. 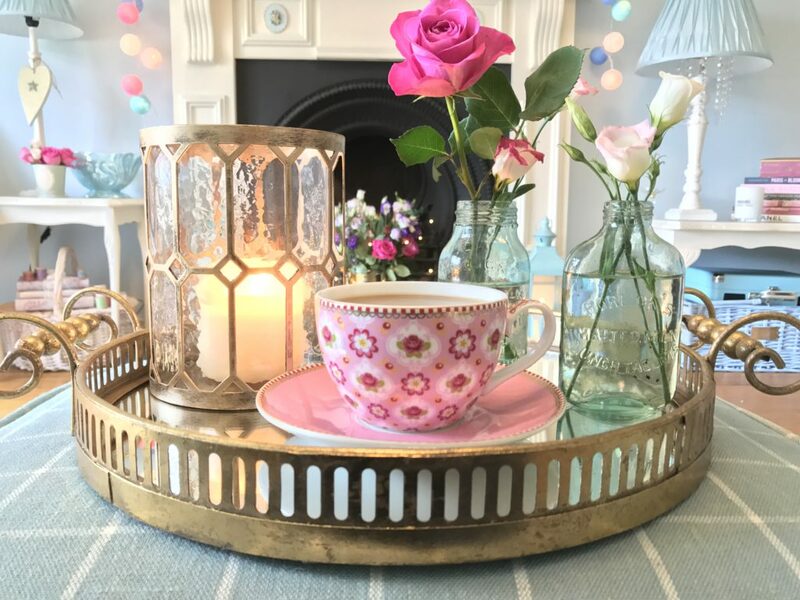 I’m a great lover of having accessories with gold accents in my home so the items I’ve chosen definitely reflect this. 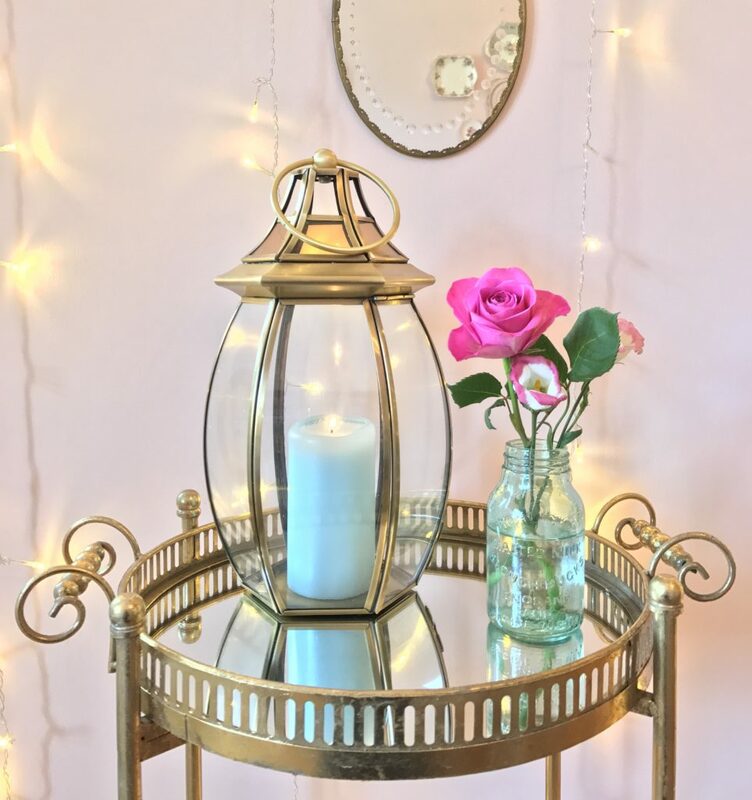 The Tina table is an absolute dream with its gold finish, beautifully curved handles on the top part that you can lift off and use as a tray and another mirrored tray on the bottom. 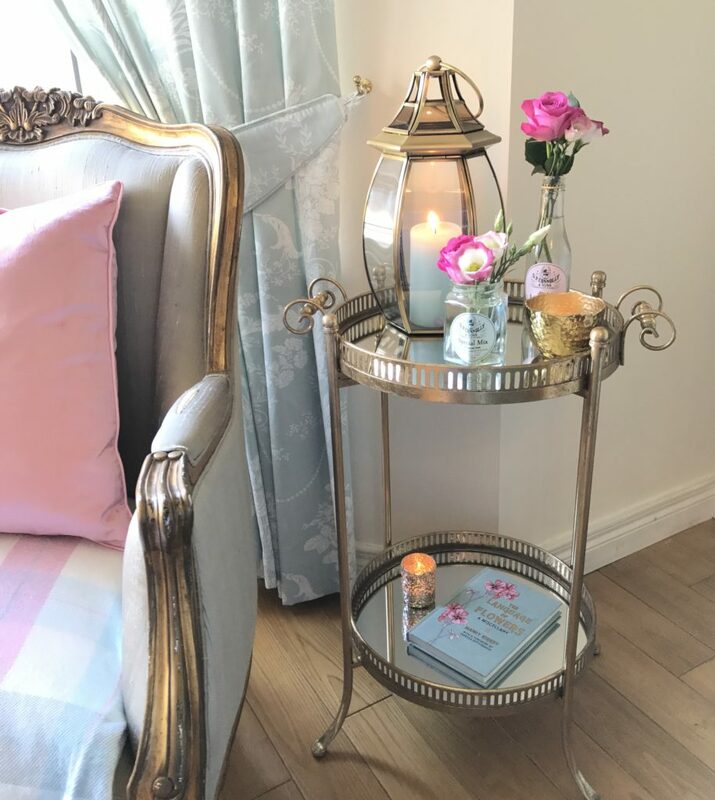 It would be perfect as a little drinks table , a lamp table or just as a feature piece on which to display your favourite accessories. It’s stunning in looks and is also functional which is a winner in my book! 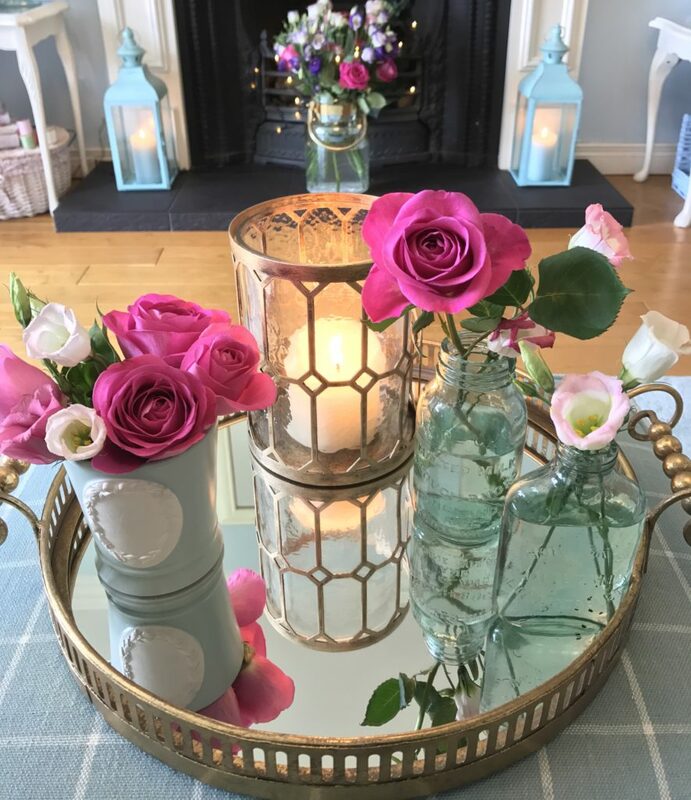 No one does beautifully crafted lanterns quite like Mindy Brownes and as everyone knows I always have candles burning in my home so these next items were just the perfect addition to my home decor for autumn & winter and dare I say it, Christmas! The Gena Hurricane comes is 3 different sizes and this one is the smallest but is still a good size. 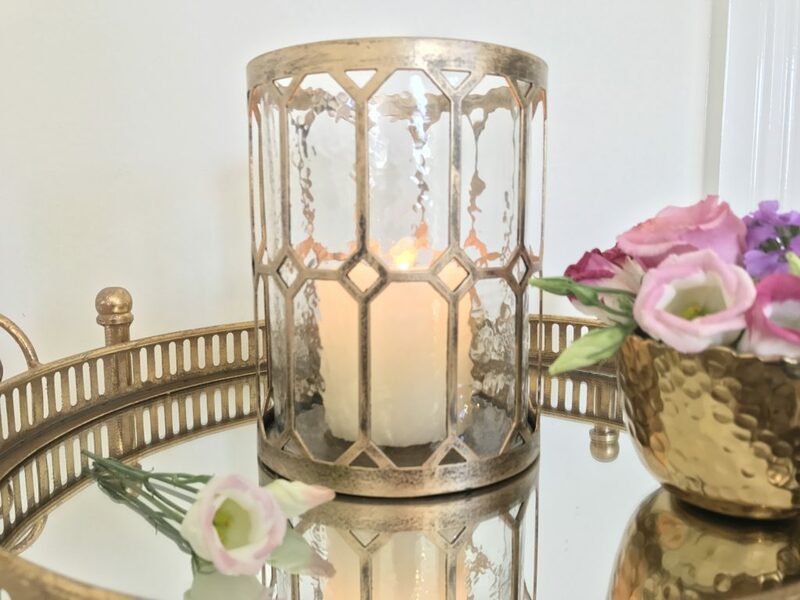 It has a beautiful gold finish and a glass inner to put your candle in and it reflects beautifully when lit. 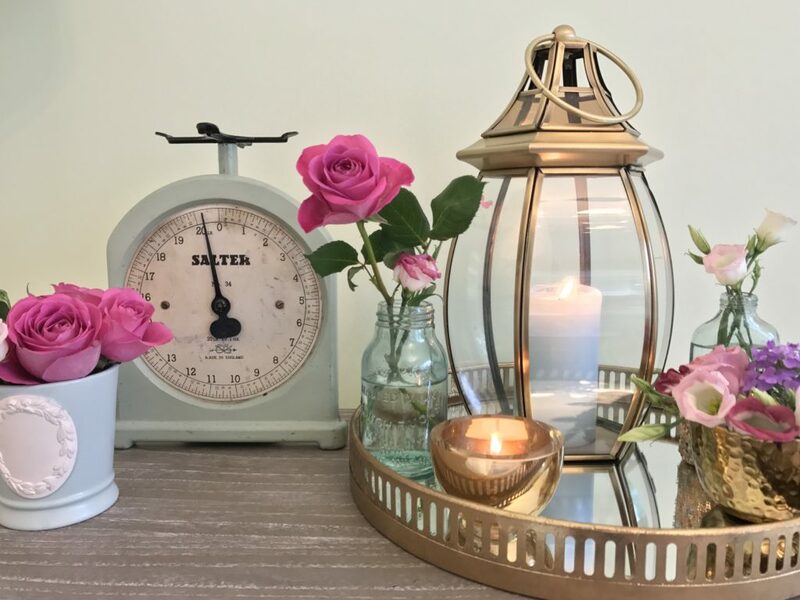 The Orla lantern is another stunning piece with its beautifully curved shape giving it the edge over many other designs. It comes in two sizes and this is the smallest of the two. 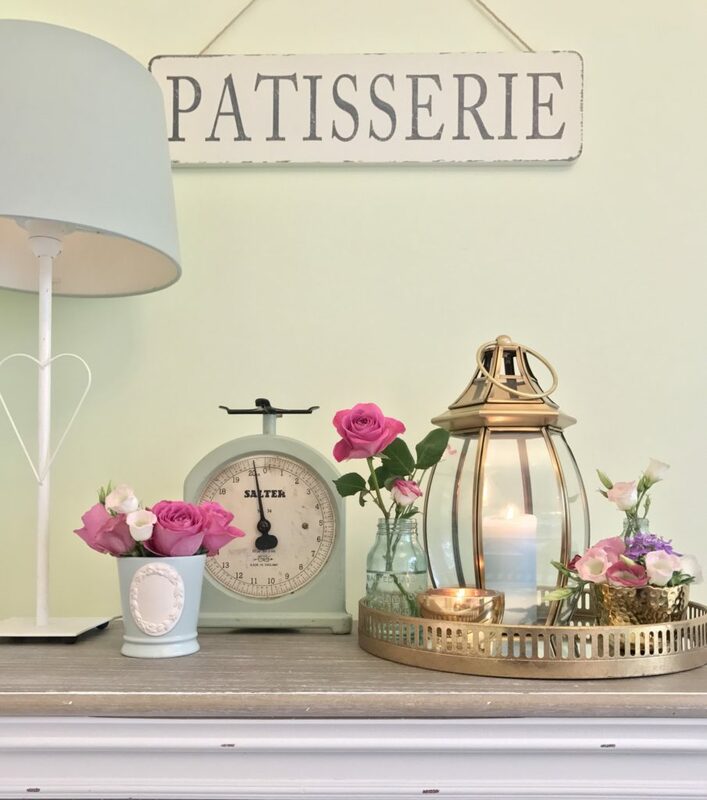 I love having lanterns dotted around my home as they always make everything feel more cosy & welcoming especially if you’re having visitors round. 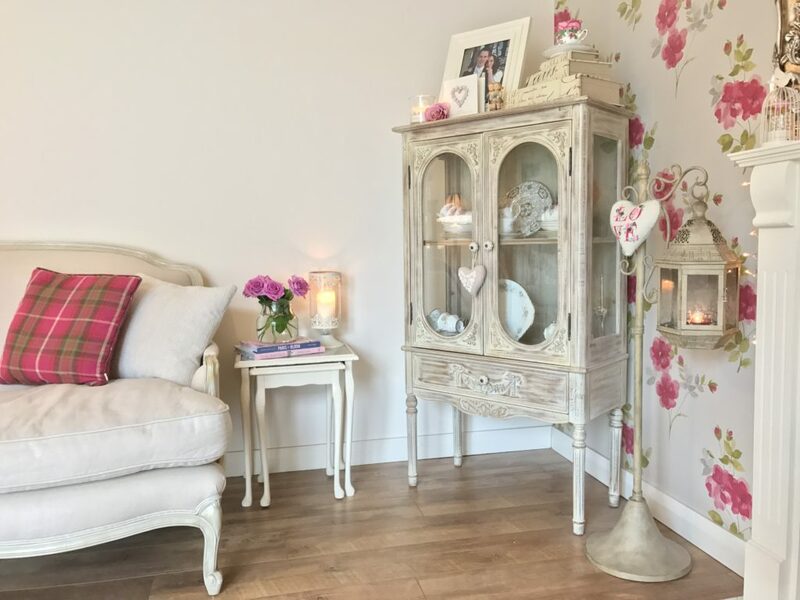 I think it’s so important to create that welcoming ambience with the right lighting, candles and some background music as it tends to make people feel relaxed and at home. View the rest of the beautiful accessories collection here. I have so many things from it on my wish list and I’m definitely going to be sending Santa a few links to make sure he gets it right! 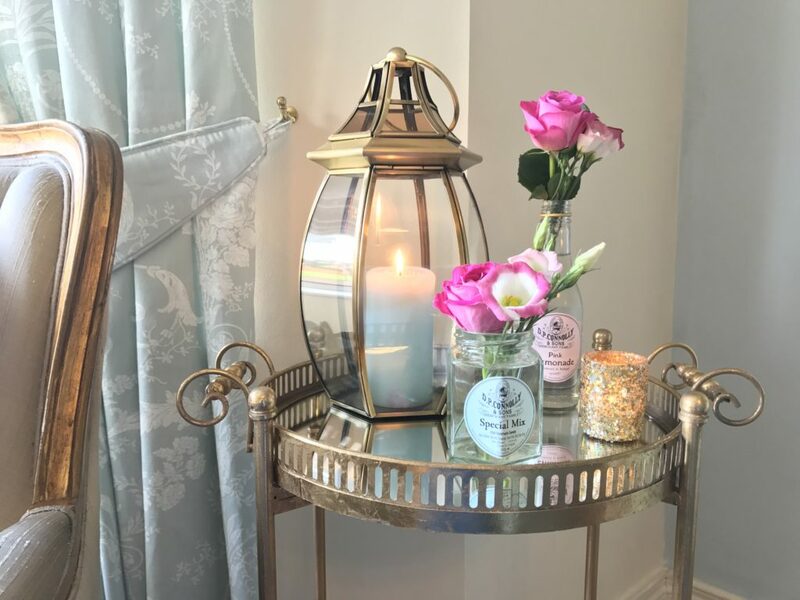 Beautiful timeless pieces. Love them all!! Where exactly is their shop Louise or do they have a website? 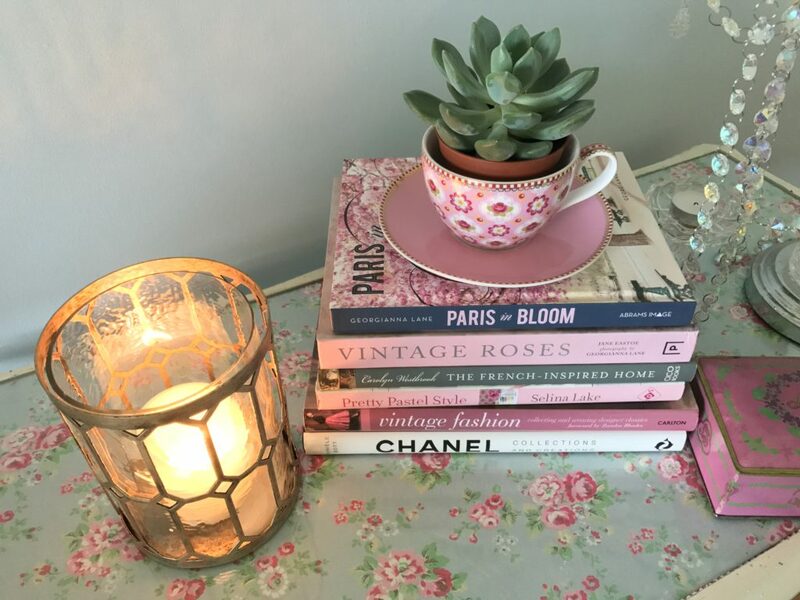 This looks like somewhere I would enjoy browsing. Beautiful stuff!!! Sorry just noticed the link Louise!